A brand-new format of long-lasting creamy eyeshadow, created in collaboration with the world-famous makeup artist Denis Kartashev. 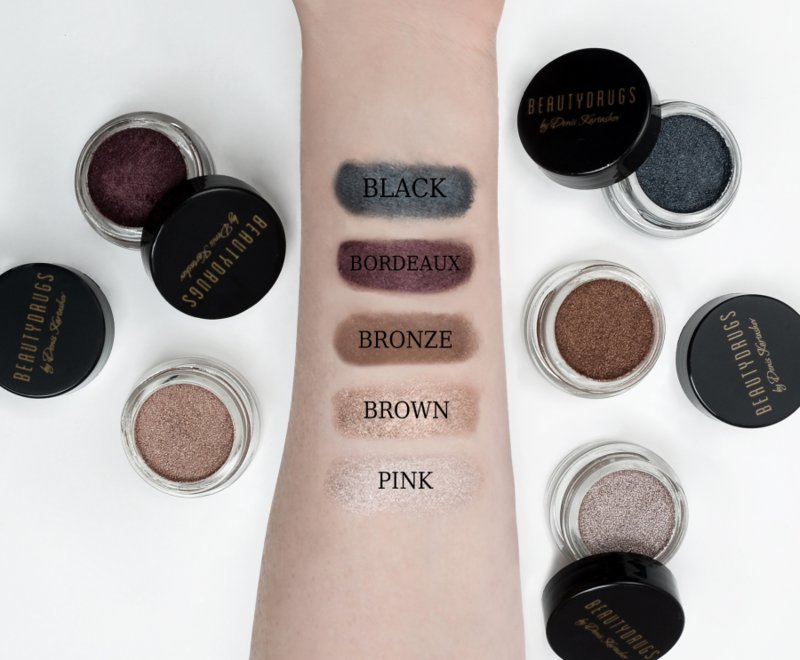 Available in 5 charming holographic shades: shining bronze, deep black and brown, fantasy pink and posh bordeaux. Two cold and three warm shades can be used individually or mixed with each other, creating exclusive combinations with a shiny finish. Eyeshadows are universal: light ones are easy to handle with a high-top, while dark ones will give depth to the look or help create a cosmic accent on the eyes.